Gin is enjoying unprecedented growth in Ireland. 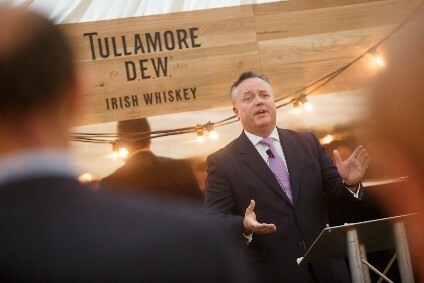 According to GlobalData figures, the category is expected to be Ireland's fastest growing in spirits between 2017-2022. So it is no surprise Pernod Ricard is looking to leverage its footprint in the country with a play in the white spirit. 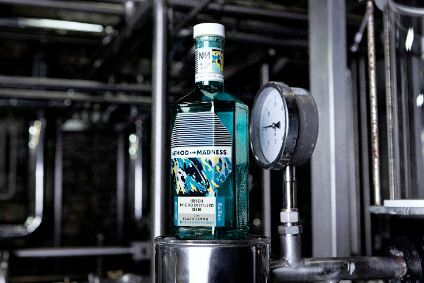 But the French spirits company has grander ambitions with the launch this week of a gin under its Method and Madness micro-distillery brand. 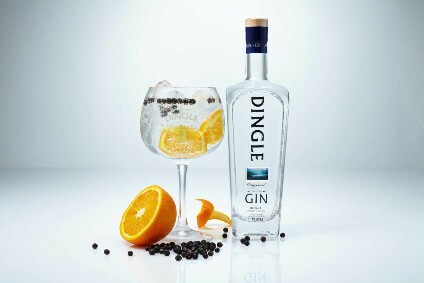 If all goes to plan, Ireland will merely be the launch pad for a gin that wants to create an international Irish gin category on the level of its whiskey counterpart. "Globally, we believe there's a chance to create an Irish gin segment the same way there is an Irish whiskey segment globally," says Brendan Buckley, strategy, insights and innovation director at Pernod's Irish Distillers. "We have the distribution reach of Pernod Ricard and we believe we can bring the unique spin on gin from an Irish perspective into the gin arena." 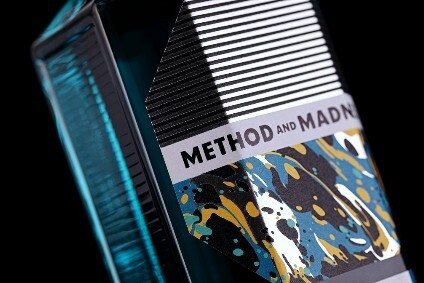 Method and Madness gin will initially roll out in Ireland and Global Travel Retail and will soon launch in the UK, Australia and France. These markets already sell the Irish whiskey range that launched the Method and Madness project two years ago. It is this existing reach that Buckley says is the "game changer" for the new gin project. "The real opportunity's not just Ireland - it is the international opportunity, that is what triggered this," he explains. "I don't think we could have made a business case to recommission the gin still we are using and get all this nice packaging to sell X amount in the Irish market. The business case would not stack up." The gin is the latest venture from the Irish Distillers micro-distillery it set in motion in 2015 to house the Method and Madness project. Its mission was to give Midleton's apprentice distillers a playground in which to try new things - so far it has yielded a four-strong range of whiskies. The company has plans to launch the whiskey range in the US next year. The whiskey innovations have focused on the maturation process, with the apprentices using different blends of wood from stock in the Midleton warehouses. Soon, however, the first liquid distilled at the micro-distillery will come of age and hopes are high at Irish Distillers that the innovating can begin in earnest. "Down here you can do a lot more innovation, different trials and on a smaller volume as well," says Midleton's master distiller Brian Nation. "You can create so many more styles of distillate. At the main plant it's a lot more difficult and more complicated." The micro-distillery has already had an effect on its bigger brother next door. 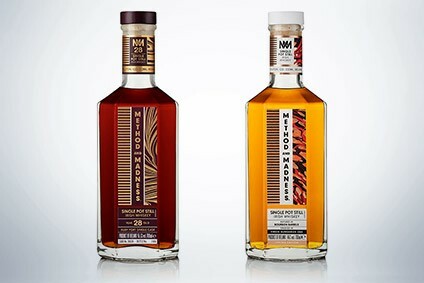 Method and Madness has led directly to Irish Distillers planting 140 acres of rye over the past three years and using it for brewing and distillation at its main plant. It is the biggest use of rye at the plant in its history, Nation tells just-drinks. "Ideas can be born and tried [at the micro-distillery] and then you see where the development can be taken," Nation says. "Some of them might never be used. But it gives you the opportunity." More immediate concerns, however, cloud current outlooks at Midleton. Though Brexit has yet to officially happen, it has already forced distribution changes at Irish Distillers. Buckley says the company is stockpiling some of its brands both in the UK and in Ireland in preparation of a hard Brexit that could disrupt supply chains. "Anyone that says they know what's happening with Brexit is lying," he says as an explanation for the precaution. For now, however, the Method and Madness project, with its small volumes, is unlikely to see much buffeting from Brexit winds. Much to Buckley's disappointment. "No one is stockpiling Method and Madness gin just yet," he says with a laugh. "I wish."